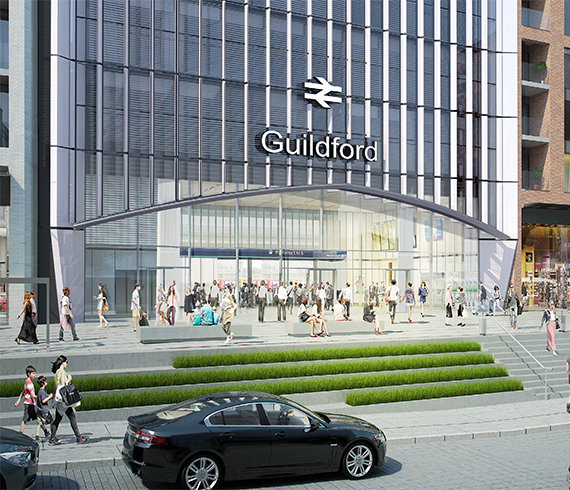 The plans include the transformation of Guildford’s station car park into a new Station Quarter which will be home to a new station building, 438 new homes, retail, office space and a radically enhanced station environment with a modern new station. 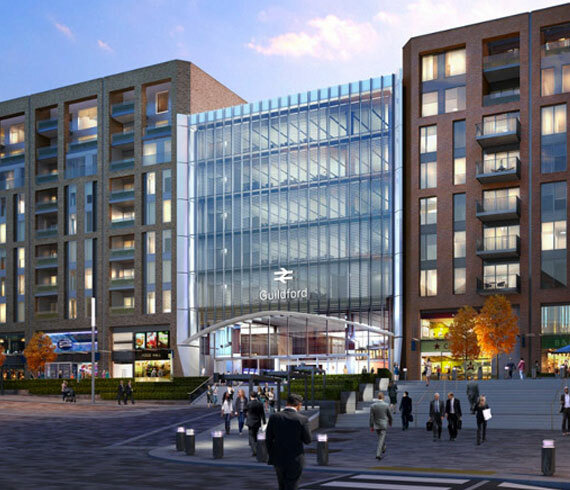 At the heart of the plans is a brand new station plaza the size of a rugby pitch which will be home to 3,427 sqm of new shops and eateries and 1,877 sq m of new offices and a transport interchange transforming the station into a fitting gateway to Guildford town centre. A brand new station building – providing a larger double height ticket hall to accommodate more passengers. 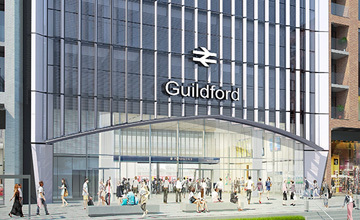 The scheme has been designed to accommodate anticipated passenger growth up until 2035. A new multi-storey car park with improved, safer pedestrian access and reduced average walk time from car to platform. Separate pick-up and drop-off arrangements and an improved taxi rank. 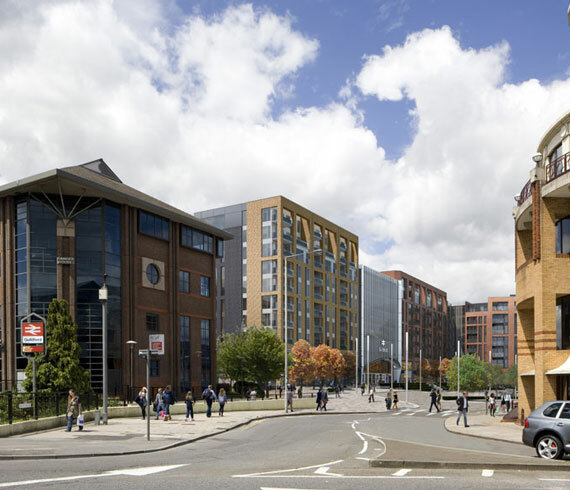 New homes around a new station quarter.